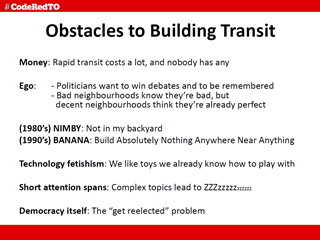 On June 25, a CodeRedTO representative presented the following slides in an Urban Geography class at the U of T Scarborough. The topics included not just transit issues and facts, but also activism in general and obstacles to Getting Stuff Done. Download a PDF of the slide deck below!